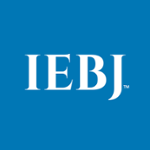 Company-description: The Inland Empire Business Journal (IEBJ) is the official business news publication of Southern California’s Inland Empire region - covering Riverside and San Bernardino Counties. You will find our publication throughout the Inland Empire region. Inland Empire Business Journal is a publication newspaper that is read by over 100,000 business owners, key executives and professionals who shape the Inland Empire, Orange County, San Diego County and Los Angeles County market. We aim to serve the informational needs of the Inland Empire business community. The Journal holds a strong dedication in providing educational and practical news information to enhance the productivity of business in the Inland Empire.